There are many anecdotes of people who made a fortune in the share market even when life kicked them at every point. They have failed and incurred massive losses, but their efforts and their will to be successful kept them going. “Never give up” is the key to being successful. Successful people are those who waded through their difficulties and overcame them to reach where they are today. The only thing that made them rich was that they didn't give up, even when life wanted them to. Vijay Kedia is an Indian investor who was born in Kolkata in a family of small stockbrokers. Ever since his childhood, he was fascinated by the share market but didn't know how the market worked. He started investing at the age of 18, not because of his fascination, but to provide for his family as his father had passed away. Not knowing much about the market, he incurred massive losses in the beginning. He moved to Mumbai after few years as things were not working out in Kolkata. He didn't have much money and was forced to live in guest houses and eat on the streets. He saved as much money as he could so that he could invest in the market again. He started gathering as much knowledge about the share market as he could from the people around him and started making investment strategies. In 2004-2005, he invested in three companies which people thought were worthless at that time: Aegis Logistics, Cera Sanitaryware, and Atul Auto. His hard work and patience paid off in nearly a decade when the value of all these companies appreciated more than 100 times. After that, he never looked back and went on to invest in some of the biggest Indian companies. Kedia, who had started with just Rs35,000, has a current portfolio that is said to be almost Rs1,000cr. Mohammed Anwar Ahmed was born in a small village named Amalner in Maharashtra’s Jalgaon district. He and his four brothers used to work with their father on the family farmland. Due to the untimely demise of his father, the farm was got distributed among the four brothers. Anwar sold his patch of the land for which he got Rs80,000. At the time, he was 27, married, and had two children. In 1947, Mohammad Hussain Hasham Premji, Azim Premji’s father, set up a new plant in Anwar’s village to manufacture ghee and vanaspati. Known as Wipro today, the company was then called Western India Vegetable Products Ltd and had just gotten listed on the stock exchange a year ago. One day, Anwar was sitting at a tea shop when a stockbroker came and asked him if he knew anyone who had bought the shares of the new company. Anwar, being curious, asked him everything about the stock market in a meeting which lasted for more than 30 minutes. Upon researching further and with the help of the same broker, he invested Rs10,000 and bought 100 shares of the company and was wise enough not to sell a single share. Starting with Rs10,000, Anwar’s portfolio is worth Rs500cr today and he has received cumulative dividends worth Rs118cr till 2017. The success stories of the Indian share market cannot be said without a mention of Rakesh Jhunjhunwala, considered to be the most successful Indian trader with a net worth of ~Rs20,000cr. He started trading after completing his CA in 1985. However, when he first told his father that he wanted to invest in the stock markets, his decision was met with criticism. He made his first big profit of Rs5,00,00 when he sold 5,000 shares of Tata Tea, which he had bought for a mere Rs43 each, for Rs143 per share. He earned a more significant profit when he bought 4,00,000 lakh shares of Sesa Goa in forward trading and earned around Rs2.5cr from the deal. He went on to diversify his portfolio by investing in companies like Titan, Crisil, Provogue, Escorts, etc. 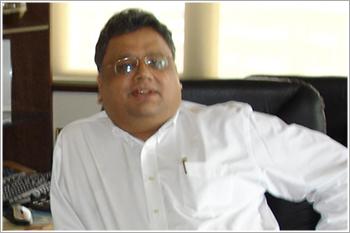 According to Forbes' estimate, Rakesh Jhunjhunwala's net worth was $3bn (about Rs19,466cr) in the March 2018 list of billionaires. 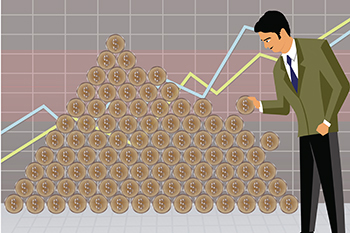 Numerous other millionaires and billionaires have earned their wealth through the share market. However, the displayed traits like curiosity, the thirst for knowledge, discipline, and above all, perseverance. You can do it too; you only need to start and not look back.